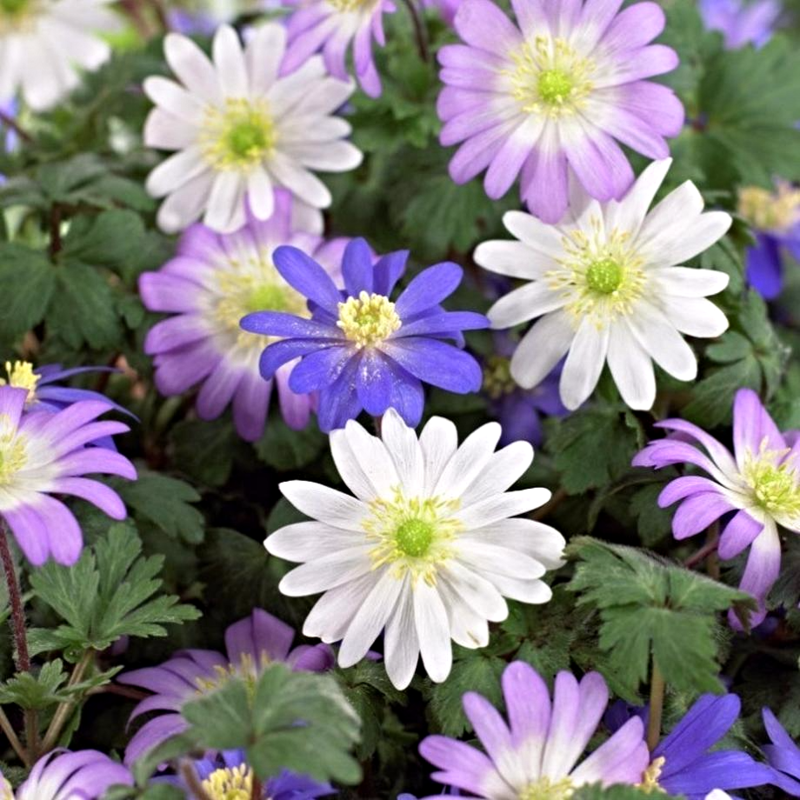 Mixed Anemone Blanda. 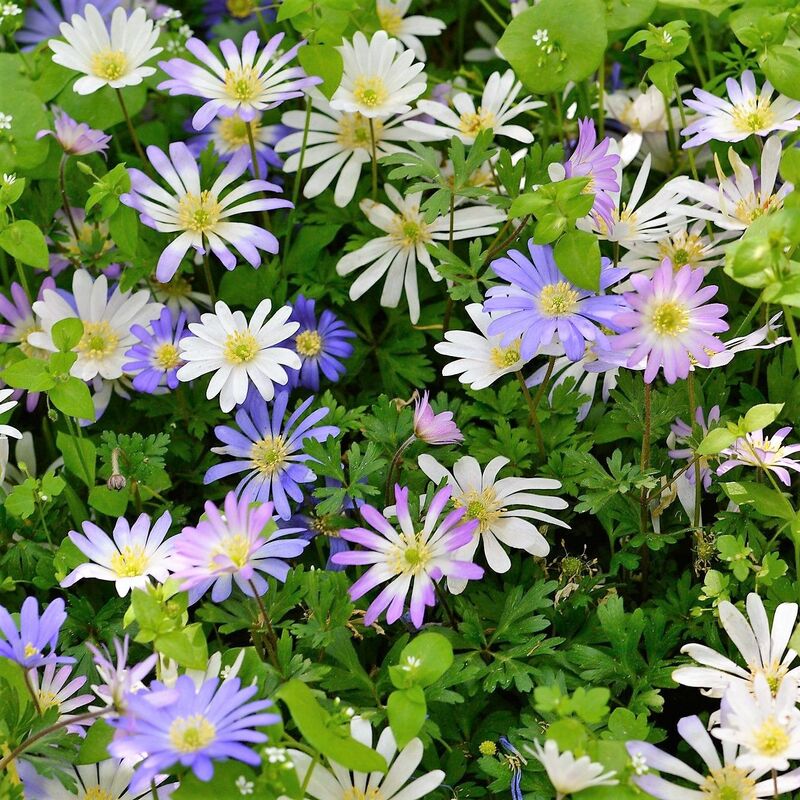 Daisy like blue flowers, that can create a carpet of colour in Spring. Hardy perennial. Thrives in sun or light shade. 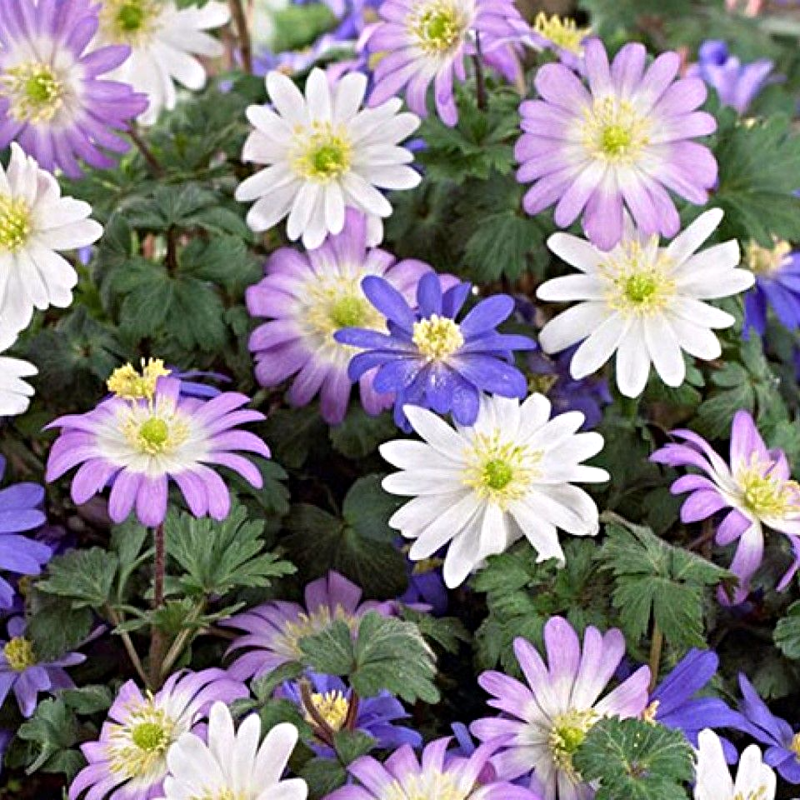 These Anemones are the first to flower. 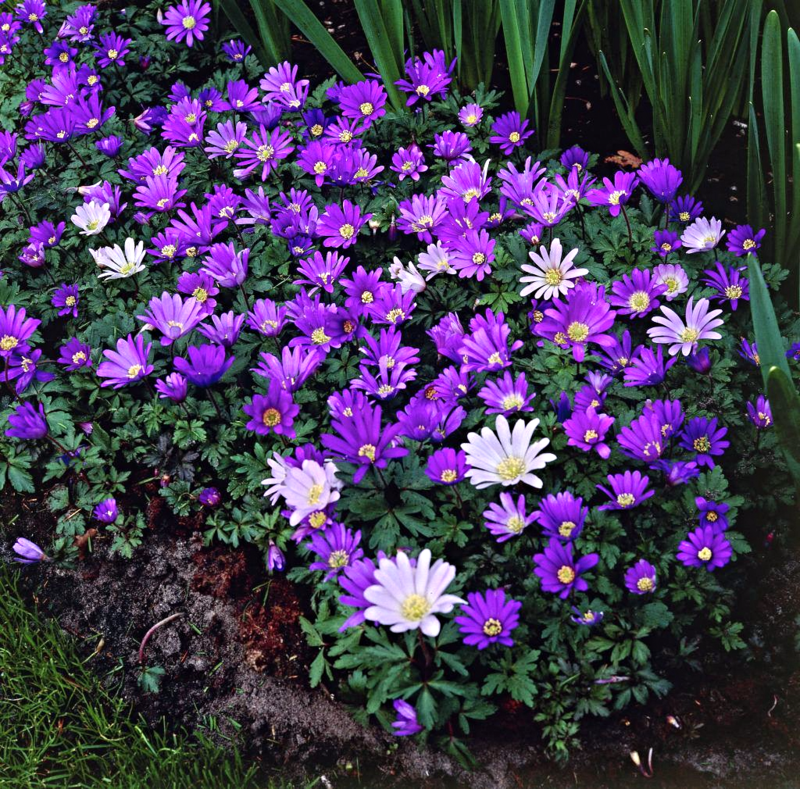 If allowed Anemone Blanda will naturalise and multiply well. Beautiful red, lilac, pink and white flowers around June.